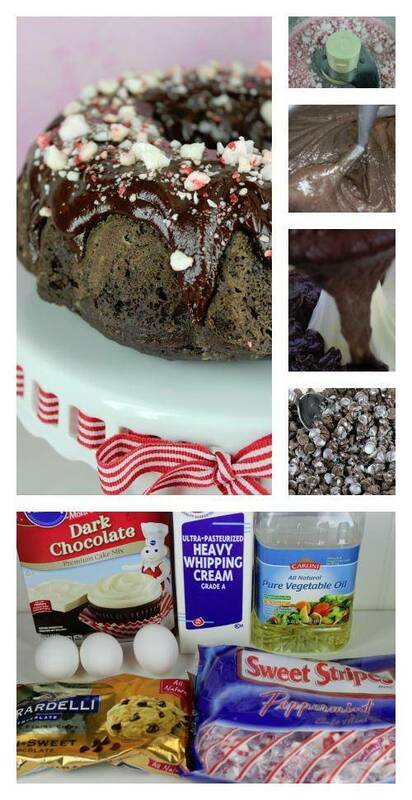 Follow Box directions to mix cake for bundt pan. Place morsels in microwave safe bowl. Heat in 30 second increments and then stir until shiny and well blended. If mixture seems too thick add a bit more cream. Drizzle chocolate ganache over cake allowing it to drizzle down sides. Crush peppermint candies in food processor. Sprinkle over chocolate ganache as a garnish. Also, make sure you check out this Reindeer Peanut Butter Cookies Recipe! Star of Bethlehem Rock Candy Recipe!